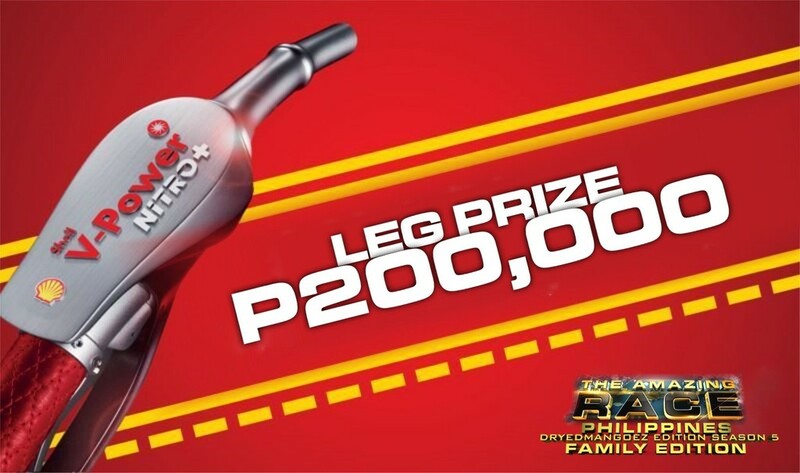 The families will continue to battle it out on the 3rd Leg of the Race as they fly to Dubai in the United Arab Emirates. To get to Dubai, teams must first fly to Bangkok on one of two Bangkok Airways flights, arriving at either 1:35pm or 5:15pm. 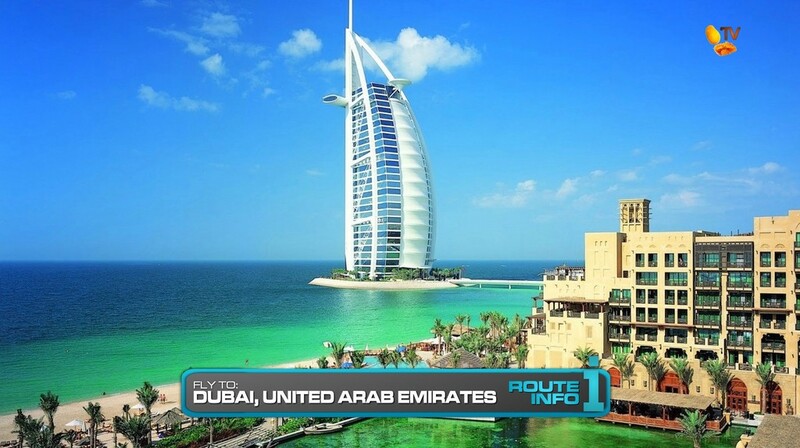 In Bangkok, teams will need to secure seats on a direct Emirates flights to Dubai. There are three possible flights arriving at 4:45am, 5:35am and 5:45am. 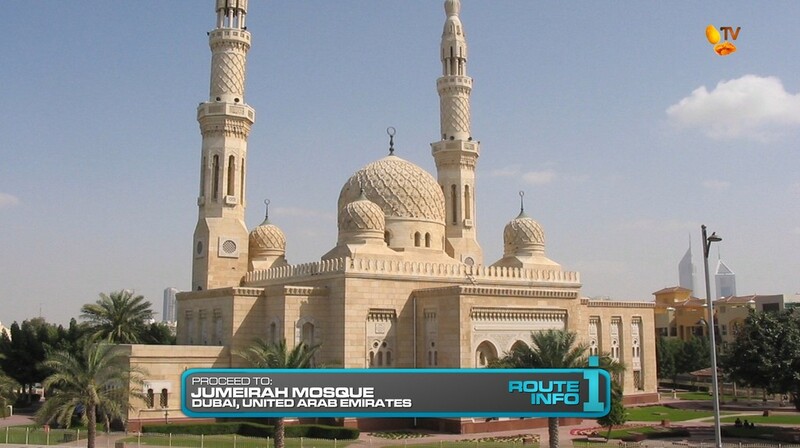 But it won’t matter which flight they get because their next clue awaits inside the Jumeirah Mosque which opens at 8am. Teams will be guided into the mosque after dressing in appropriate attire. That clue points teams to drive themselves using brand new 2016 Kia Sportages to the Al Faqa Desert. But this clue also contains the Fast Forward! 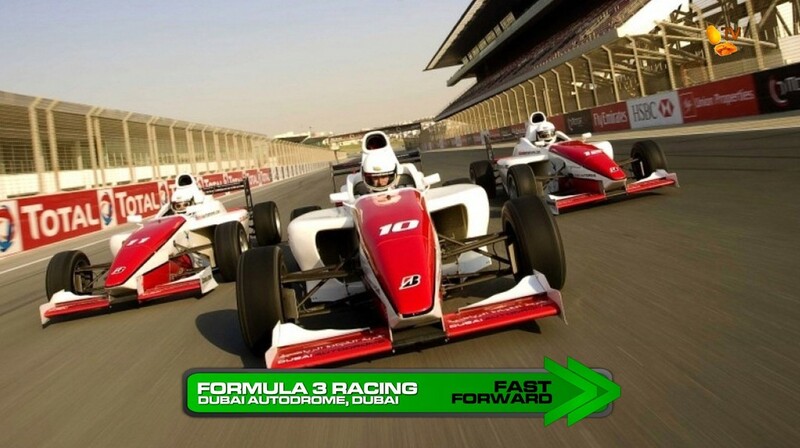 For this Fast Forward, teams must operate a Formula Three open wheel race car and complete a single lap around the track of the Dubai Autodrome in 45 seconds or less. 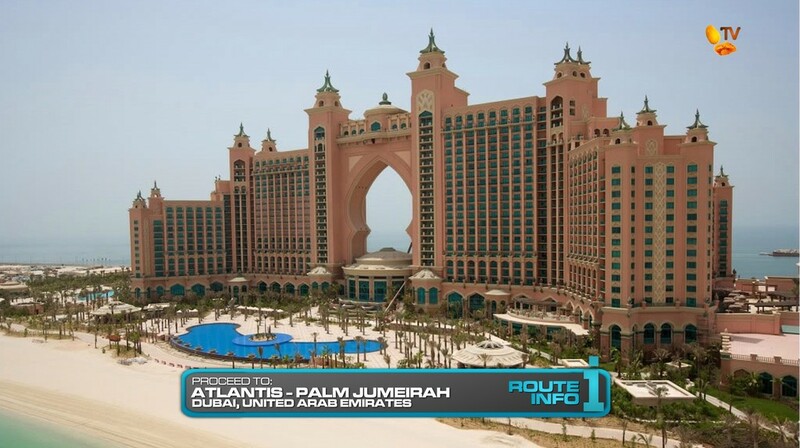 If successful, they can go directly to the Pit Stop at Dolphin Bay Beach at the Atlantis – Palm Jumeirah. 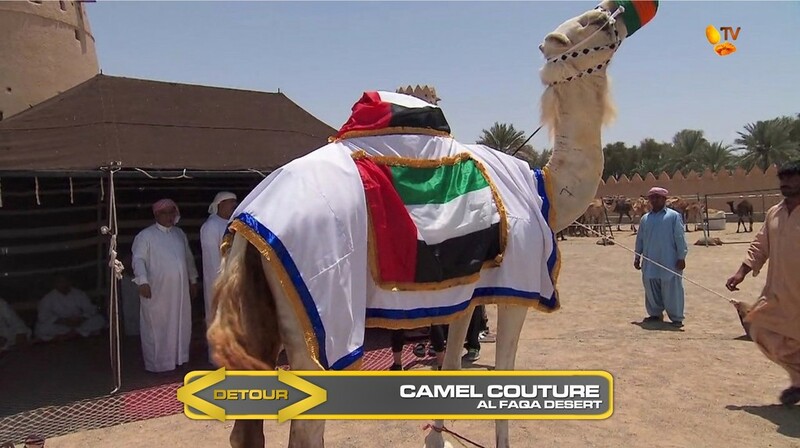 For everyone else, they will find the Detour at Al Faqa Desert: Camel Course or Camel Couture. In Camel Course, teams must ride a camel through a course across the desert and retrieve five colored flags using only a camel stick. Once they’ve got all five flags, they can exchange them for the next clue. In Camel Couture, teams must find a camel that meets a set of breed guidelines and then dress it up for an upcoming camel show. If the judges are pleased with their camel selection, they will receive the next clue. 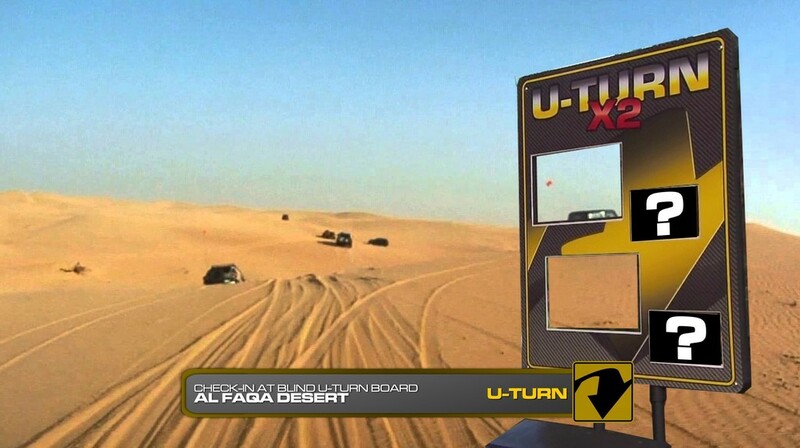 Teams must then check-in at the BLIND Double U-Turn board before receiving their next clue. Teams will be driving back into the city to Al-Arsa Souq marketplace where they will find the Road Block: Who won’t get dried up? For this Road Block, teams must count the number of dried limes in a crate while putting them in a sack to then deliver them to a marked stall to receive their next clue. 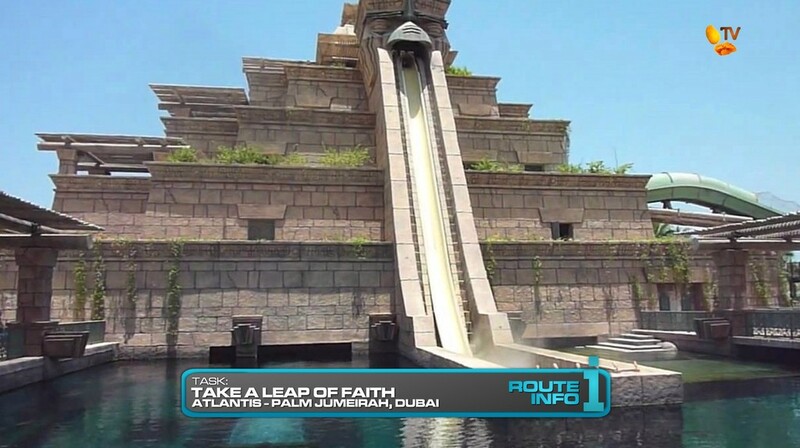 After the Road Block, teams must head to the Leap of Faith water slide at the Atlantis – Palm Jumeirah. Here, they will slide down the 60 foot, almost vertical drop into the pool below to receive their next clue. 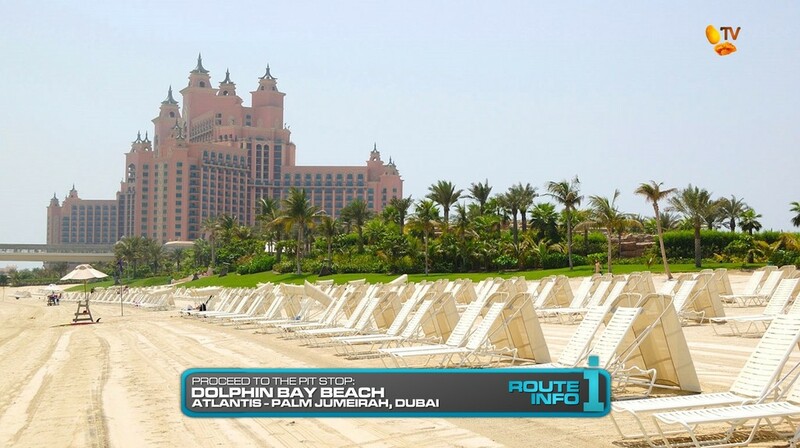 And that final clue directs teams to make their way on foot to the Pit Stop, Dolphin Bay Beach. This is the first TARPH visit to the Middle East! And Dubai is a good first visit, I think. Gotta have teams visit a mosque, of course. I haven’t really included Fast Forwards in TARPHDME2-4. But here, it makes a lot of sense because a Fast Forward is another opportunity to split up a team. Only one team can win the Fast Forward, so one half of a family goes to the Pit Stop while the other one may get themselves eliminated! Camels are always a winner on TAR and these two Detour choices are recycled from TARAU2 and TAR23, respectively. It’s also good that both Detours do involve camels so teams will need to deal with them, no matter what. This is a good spot for a U-Turn as well. And hopefully being Blind will allow teams to be more willing to use it. Especially with some family tensions. 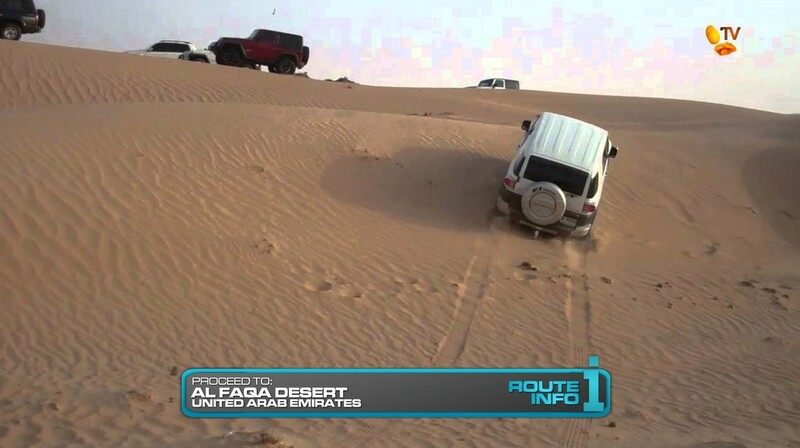 There may be other, better Road Block possibilities in Dubai, but for here, the modified TARAU2 Detour is fine. But a big highlight for this Leg should be the Leap of Faith water slide. We can only hope for a Mika-sized meltdown here, right? Overall, a solid Leg in Dubai.